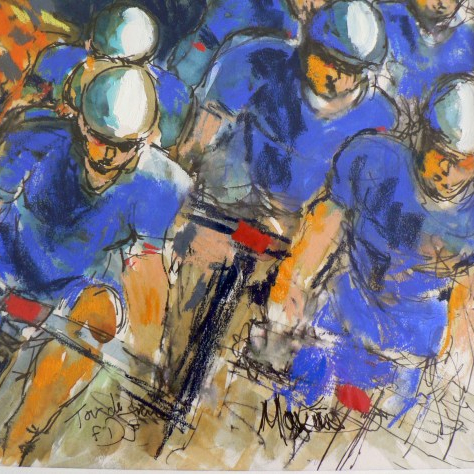 ‘Racing Lines: Le Tour’ Open! Finally getting around to catching up with your fabulous paintings after hectic few days at Zle Tour. Your paintings capture the mood, the movement and the magic. Have you seen the TdF in person?